You may have questions about our program, so we have gathered answers to the most frequently asked questions. First, there is absolutely no cost to you! Period! If it sounds too good to be true, read the “Why we pay you” section below to understand why we do this. The intent of this program is to give you a great new style, yet we understand that it takes your time to allow us to have a session with you. For that reason, we pay our clients to show our appreciation. Our payment amount also depends on the difference between your ‘before’ and ‘after’ styles. The shorter your new style, the more you make. If you wish to get a quote for your session simply send (email or text: 360-329-2447) us photos showing your current style and length (or close to it). With that we will give you some style ideas that we are considering as well as an idea of how much we will pay you at the time of your session. At CashForCuts our income is created by providing educational material and services to the hair & beauty industry. Because our corporate clients (salons, stylists, colleges & institutions) pay us to demonstrate new techniques, we can afford to do your hair and pay you a fee (providing that you are happy to let us demonstrate the look that has been designed for you). By modeling for our films and editorials you are helping us to teach and provide learning resources as well as inspiring the industry and other women like you who are passionate about fashion & beauty and want to look fabulous! Some clients come to us knowing exactly what they want and that is great. Others have some ideas, but aren’t sure of the exact style they want. And there are others that have no idea what will look great on them. No matter which group you are in, we are happy to work with you. As part of your consultation we will ensure that you get the exact style you want. Our stylist will absolutely make recommendation to those seeking an expert opinion. After all, we want to make you look fabulous. In other words, yes, you are totally in our talented and professional hands… and it should feel like a pretty reassuring place to be, knowing that we have your interests as well as our reputations firmly in mind. Your haircut will be performed by our experienced stylist. 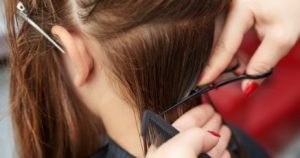 Our stylist has been cutting hair and performing makeovers for over 10 years and is experienced in many techniques and cutting methods. Sessions will consist of: photos, consultation, cut and style. During the consultation, we will discuss your new style and ensure that we are on the same page as you. We will take before and after photos of you to show what a difference a great haircut can make. There will be video of your session taken as well. Sessions generally last one to two hours and you are welcome to have someone with you. Our base location is near Silverdale, WA, but we work with clients all over the northwest. We often travel to perform these sessions at the client’s location. If you prefer, we can have your session in the comfort of your own home. Just let us know your preference. 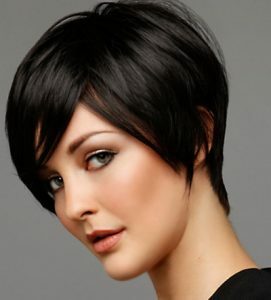 Many of our clients are going from very long hair to shorter styles. 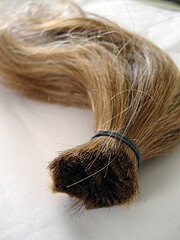 In those cases, we often choose to remove length in a ponytail so the hair can be donated to charity. If your hair meets donation requirements, it may be donated to a charity like ‘Locks of Love’, ‘Wigs for Kids’, or ‘Great Lengths’ that makes wigs for those suffering from medical conditions. We know you will love your new style and won’t miss your long hair, but a charity will certainly appreciate it. We are currently seeking ladies (under 18 requires parent or guardian approval) for haircut makeovers. You do not need to have a certain look or be a model, only to be ready for a change. If you are thinking of cutting ten inches or more to donate to a charity you would make a great client.